My month long sojourn to Dorset is nearly at an end...... sniff, sniff! But I've had such a great time, the batteries have been recharged and lots of plans have been hatched. Have managed to do some new artworks and collages and had loads of ideas for more. Also, I've stocked up my unit at The Customs House in West Bay with yet more goodies! Can't wait to be back down here in Dorset! 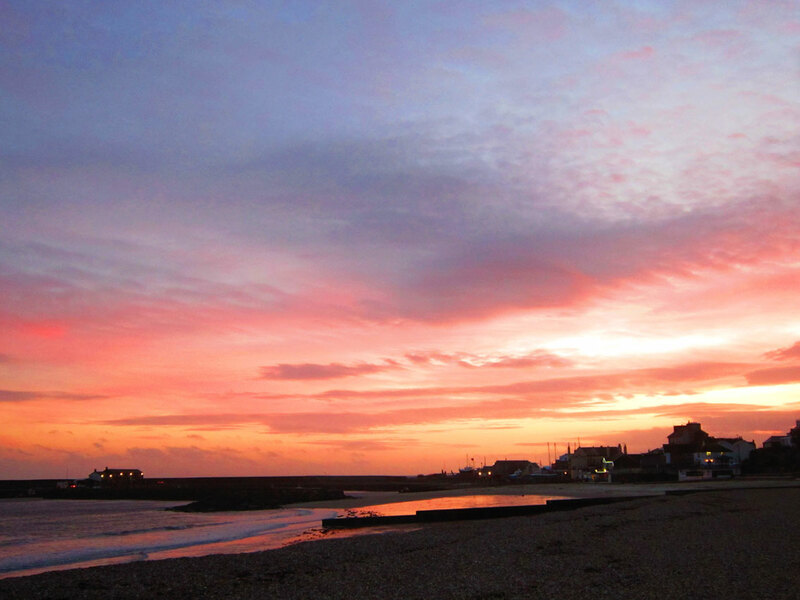 The sun setting over the Cobb at Lyme Regis. 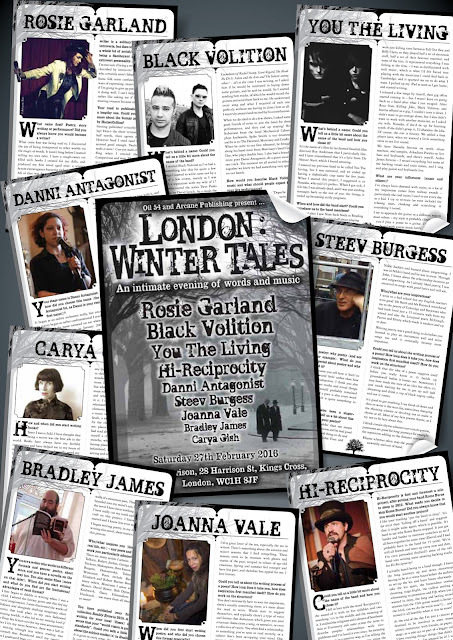 Work is almost complete on the interviews for LONDON: WINTER TALES! 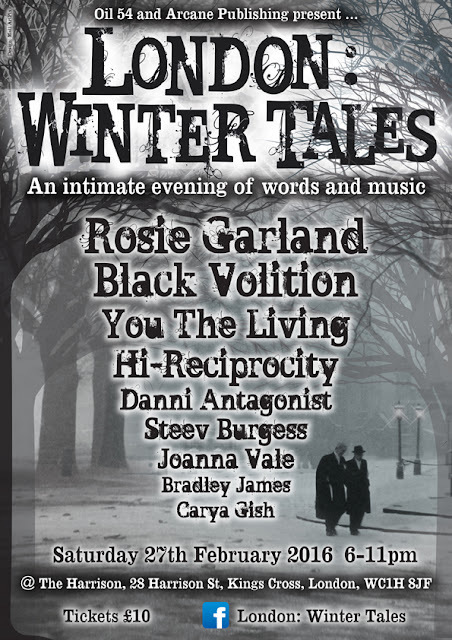 The special and intimate evening of readings and music to warm you up on a long, cold winter night at The Harrison bar in King's Cross, London on Saturday 27th February will be a night to remember. When you've ordered your ticket online, you will get a fabulously free PDF emailed to you, featuring exclusive interviews with all nine artists involved! Here is a sneak preview of some of the pages below and a link to the page to get yourself a ticket, but do hurry up, as there are only SEVEN left!!!! Some of the pages of your free PDF, designed by yours truly!! 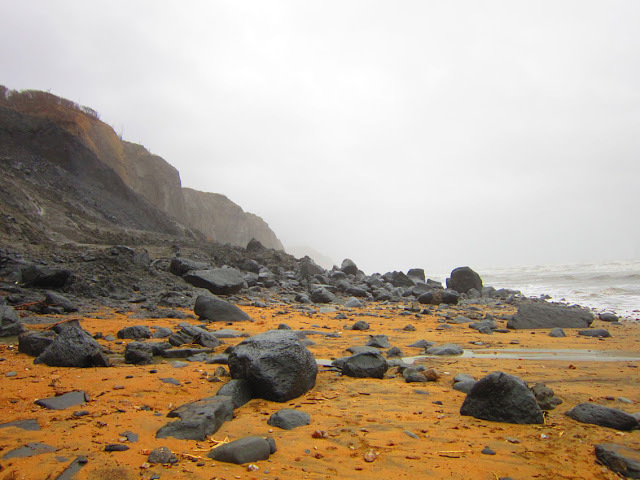 Had a journey into an alien world, down in the Dorset village of Charmouth, with strange colours and mysterious rocks! 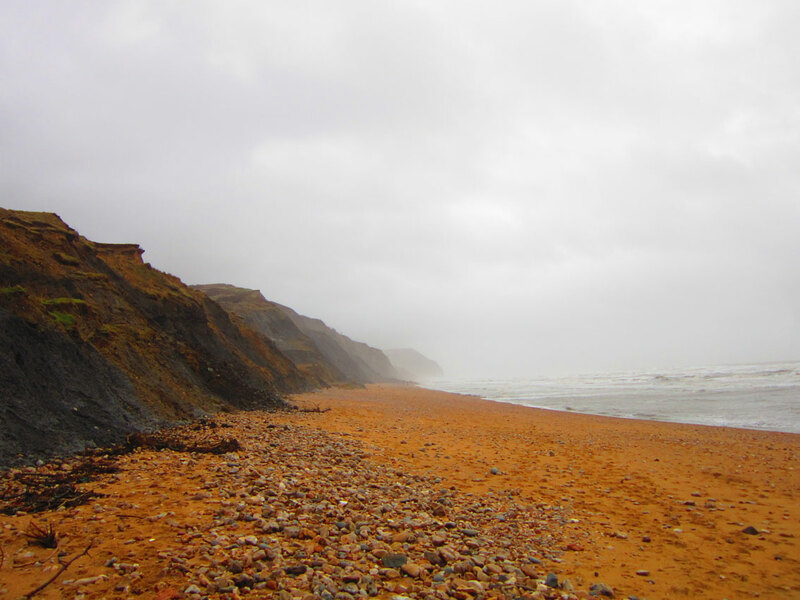 This part of the world famous Jurassic Coast has very crumbly cliffs, which makes it very popular with fossil hunters. Mary Anning, who discovered many dinosaur bones along the Dorset coast in the 19th century, vastly advancing our knowledge of prehistoric life, was very fond of scrambling around here. It also looks like an alien landscape. 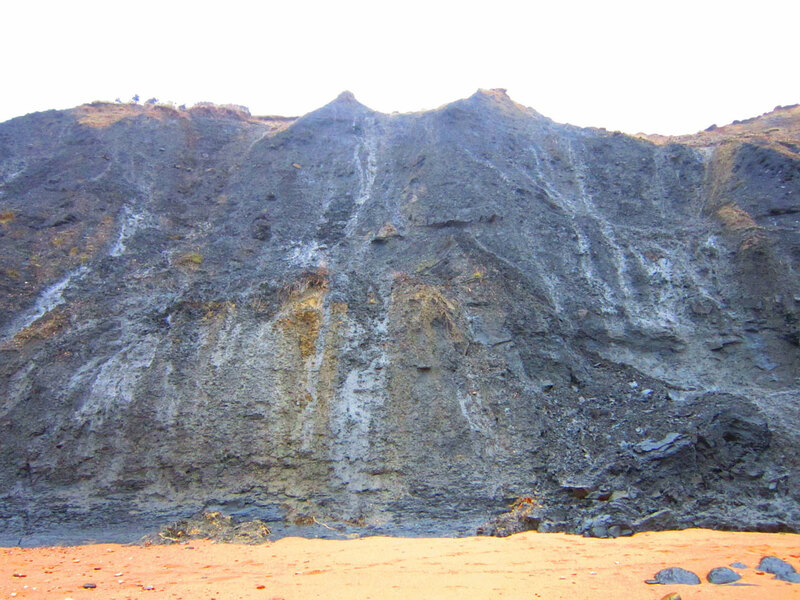 The cliffs are a dark grey, almost black colour and the sand is a strange orange. 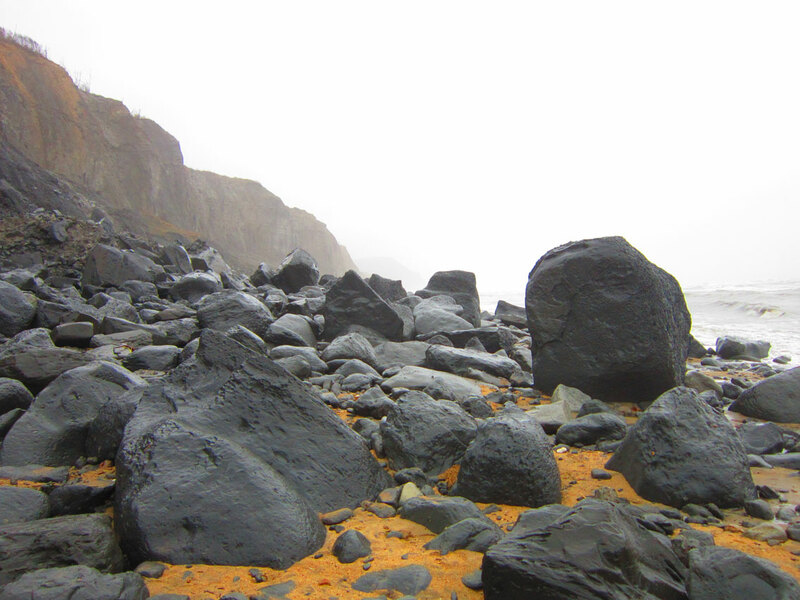 On this day, there was a grey sky and driving rain, so the only colours visible were grey and orange. The cliffs are oozing water through them and are constantly moving. There had been a huge landslide which, alongside the massive grey boulders strewn across the beach, only added to the unearthly quality of the place. 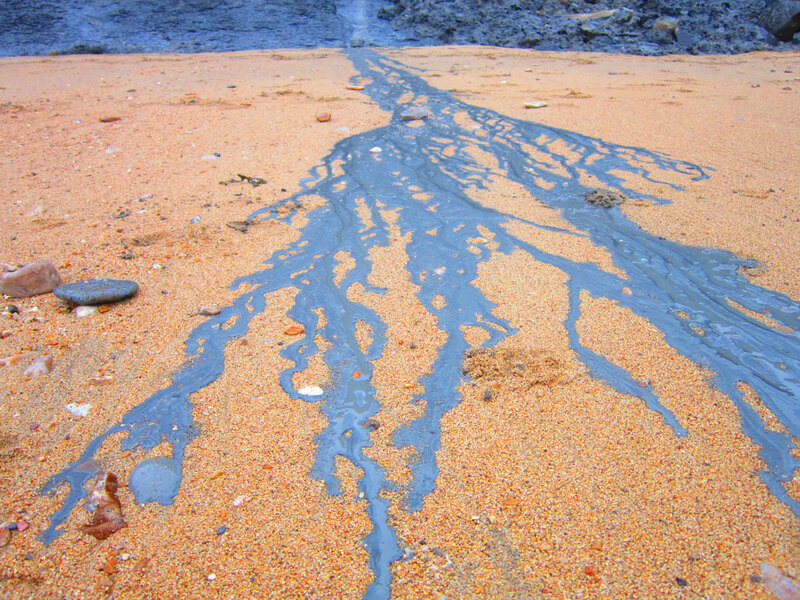 The strange coloured sand and the dark grey stones on the beach. A closer inspection of the alien-like landscape! 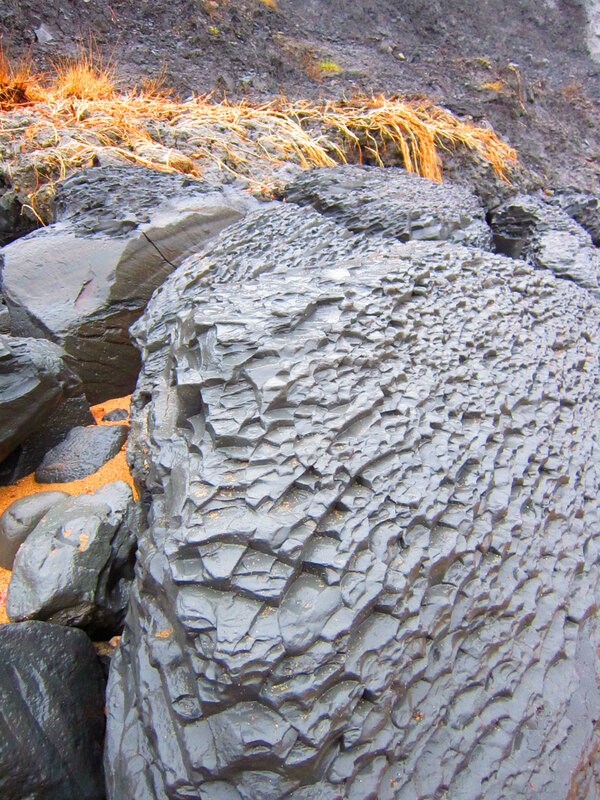 The sea has moulded the rocks into unusual textures. 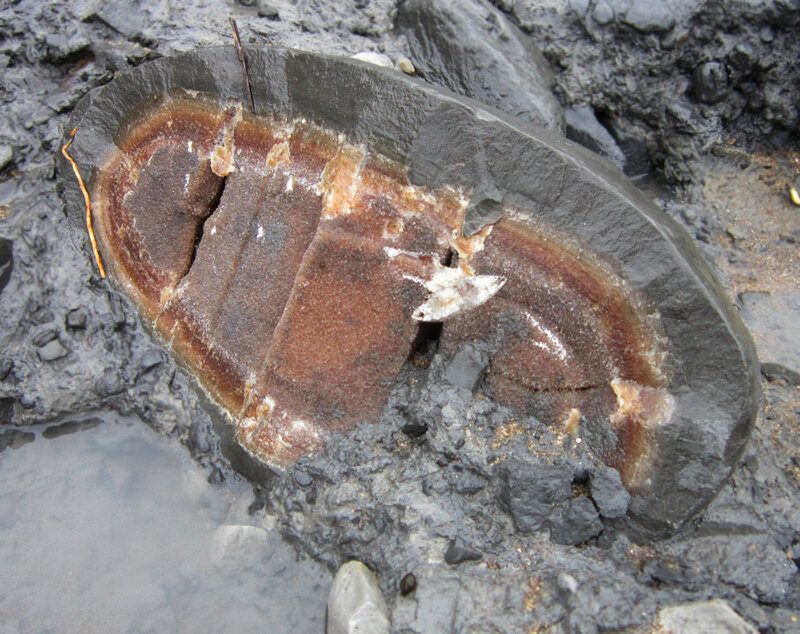 Amazing crystals inside one of the broken rocks. Rainwater trickling down through the cliffs and onto the beach has created a fascinating metallic-like pattern on the sand. This beauty was built in 1905 and first shone on 11th January 1906. 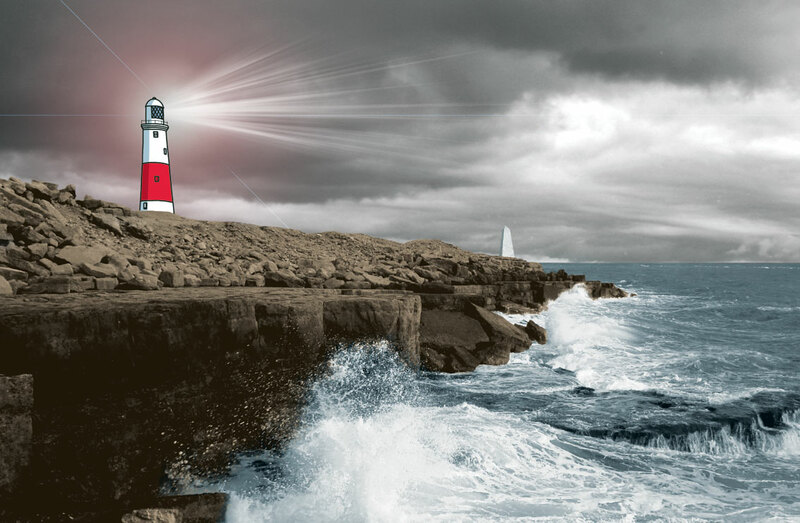 Standing at the very tip of Portland, it faces some of this country's maddest weather. It is one of the featured areas of the iconic Shipping Forecast on BBC radio. It even had a kids TV series about it in the 1980s! Here is a doodle-like artwork I've just done this evening of Anvil Point Lighthouse! I went to there today, for a bracing walk along the coast. Built in 1881, it has done sterling service guiding ships around some particularly treacherous seas. After 110 years, it was automated in 1991, and it still looks great in pristine white. 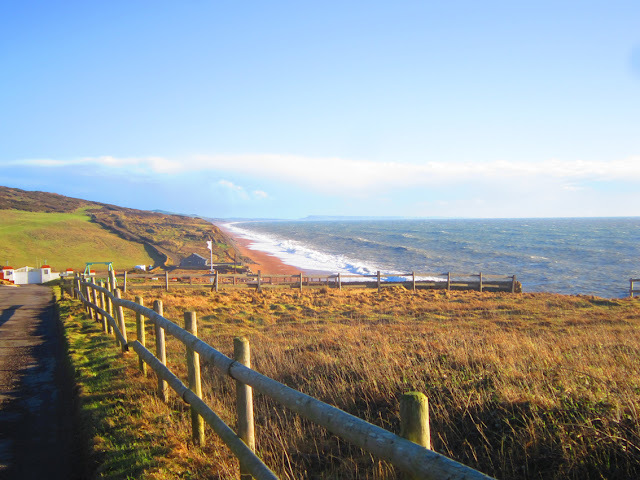 It is set on top of the cliffs just around the corner from Swanage in Dorset. 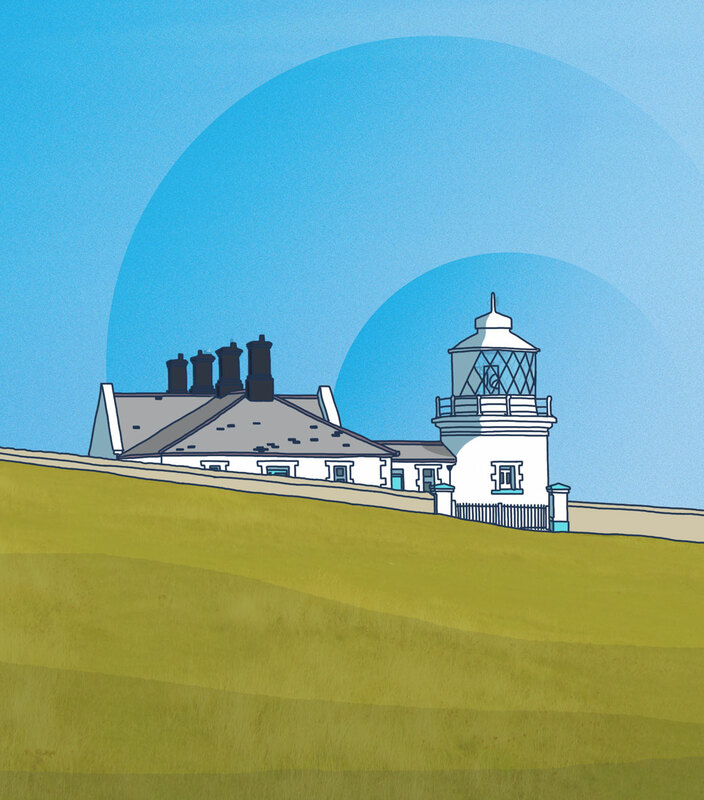 It also sits near the brilliantly named Tilly Whim Caves, and where an extraordinary Victorian gentleman called George Burt set about creating a breathtaking walkway around the cliff edge and building the fantastic folly of Durlston Castle. It's an amazing Victorian tin used for storing hairpins! It has a lovely design on the lid, and has been divided into three handy compartments to store your pins away tidily. 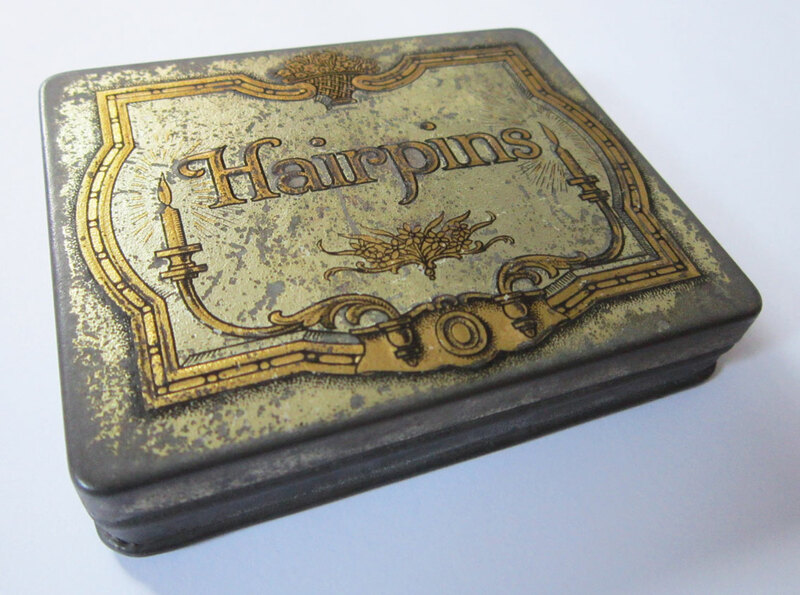 The tin has a lovely aged look to it, giving it the character and charm of any vintage item. 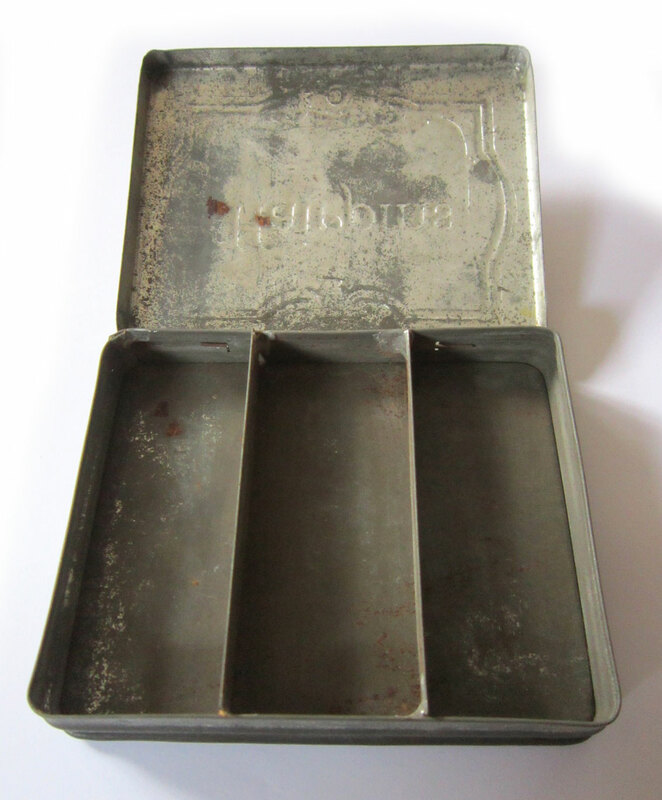 I've never seen one like this before, so you might be getting yourself a very rare tin indeed! 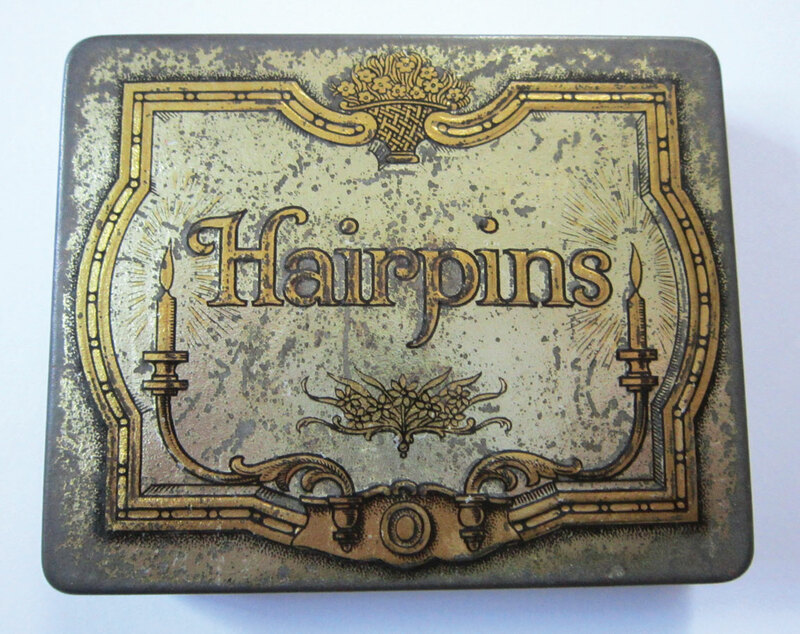 So rush along to my unit and pick up a lovely piece of Victoriana! Check out The Customs House info HERE, you'll find me on the first floor of the main building! I visited the city a few years ago and was drawn in to the enchanting and mysterious place. It has a hugely rich and complicated history, especially in the 20th century, but the city shows a resilience to survive and even find humour in its past. I loved the architecture of the place and finding, around the corner from the obvious tourist sites, a chance to find that element from the various eras it has gone through. Be that a huge Communist statue or monument to Second World War resistance. The centre piece of this collage is the Petrin Observation Tower, a mini looking version of the Eiffel Tower, built in 1891. Around that is an example of the stout, but still decorative, Eastern European apartment buildings and a Modernist style shopping street. 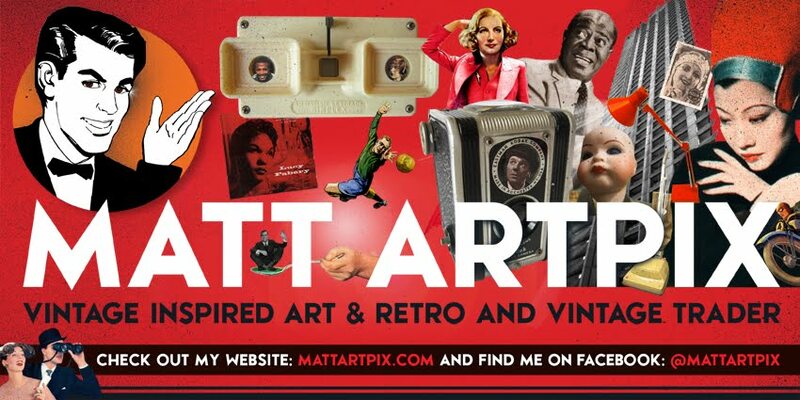 As always I've sprinkled a huge variety of vintage images I have knocking about the ArtPix Archives. Some with an appropriately 30s to Noir to Cold War feel to them. I've got so many more pix of Prague, I could do loads more collages of this amazing place! Today I've put loads of lovely vintage toy cars in my unit at the Customs House in West Bay, Dorset! 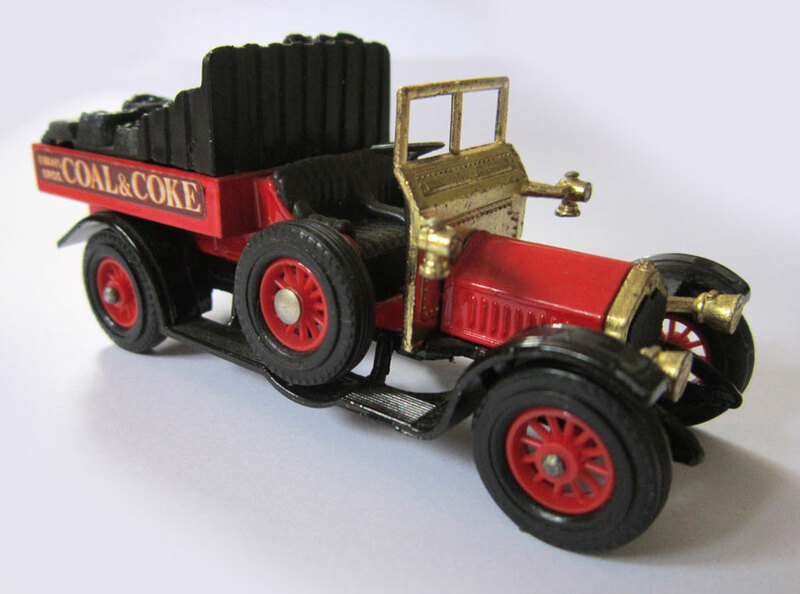 I have a great selection of the Matchbox Models of Yesteryear range made by Lesney, dated between the 1960s and 1980s. 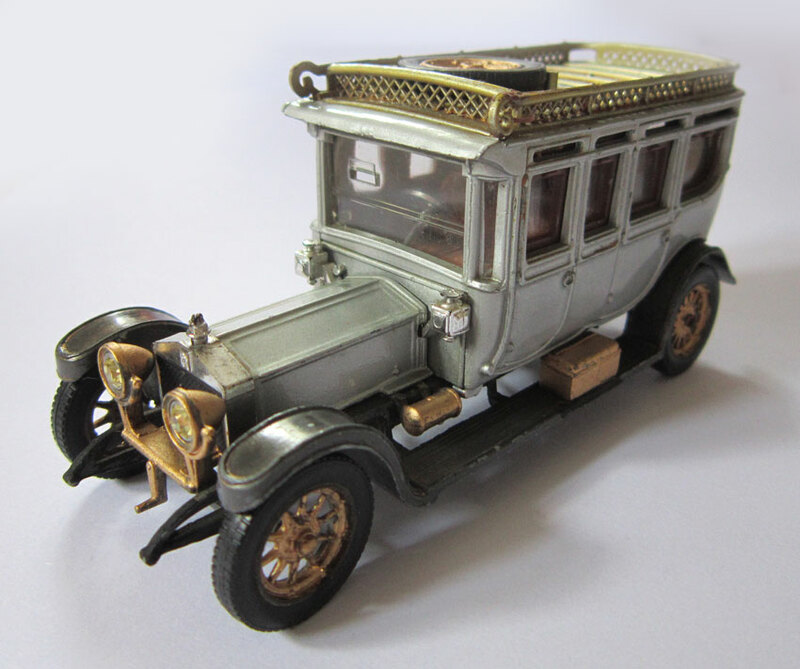 They are all of Edwardian classics, such as a 1911 Ford Model T and a 1913 Cadillac. 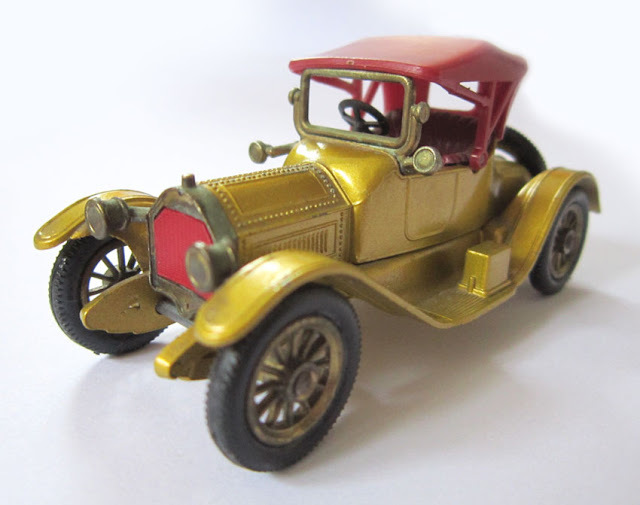 There are also some Corgi Classics, that were all made in the 1960s, including a gorgeous 1912 Rolls-Royce. Have a peep at the pix and drive one away today!! Classic 1911 Ford Model T, made by Lesney, from the Matchbox Models of Yesteryear range. 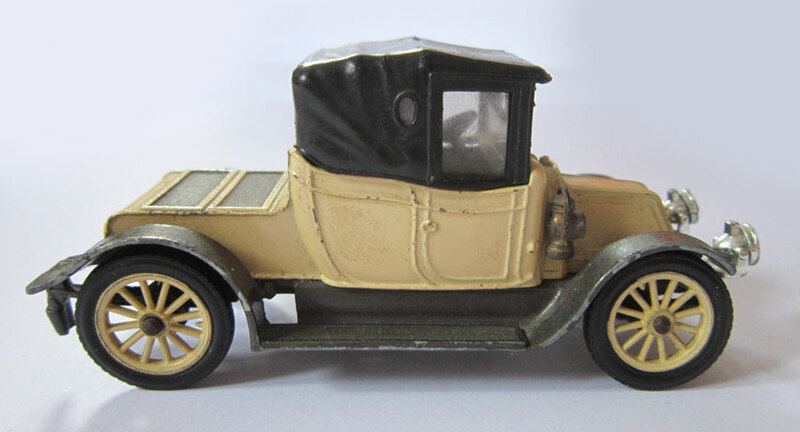 A 1913 Cadillac, made by Lesney between 1968 and 1977. 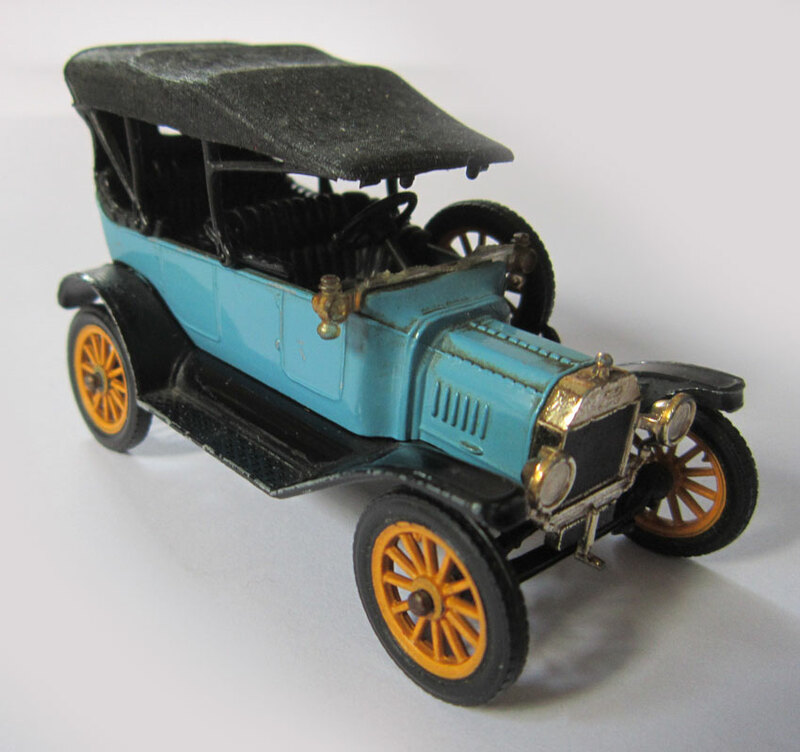 A 1907 Peugeot from the same range of cars. Brilliantly named Thomas Flyabout from 1909! 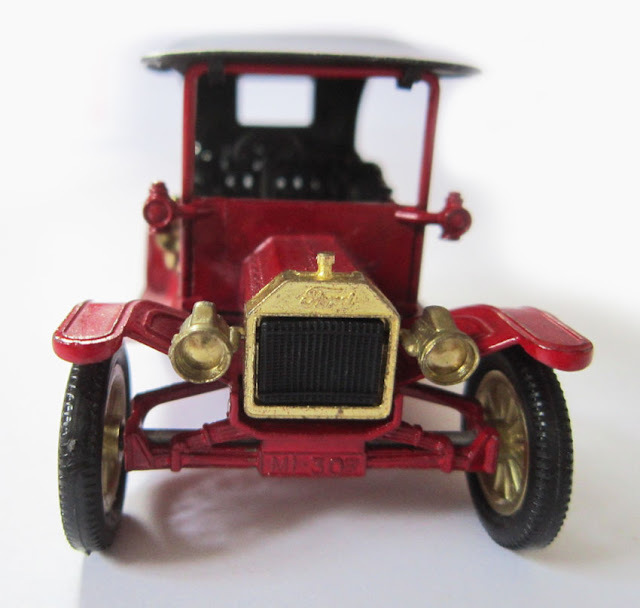 A great 1918 Crossley lorry from Lesney, dated to around 1983. 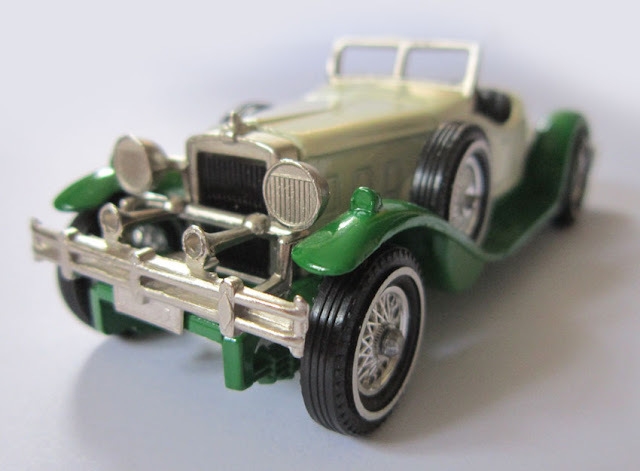 A super stylish 1931 Stutz Bearcat, with green & cream colours, made by Lesney in 1981. 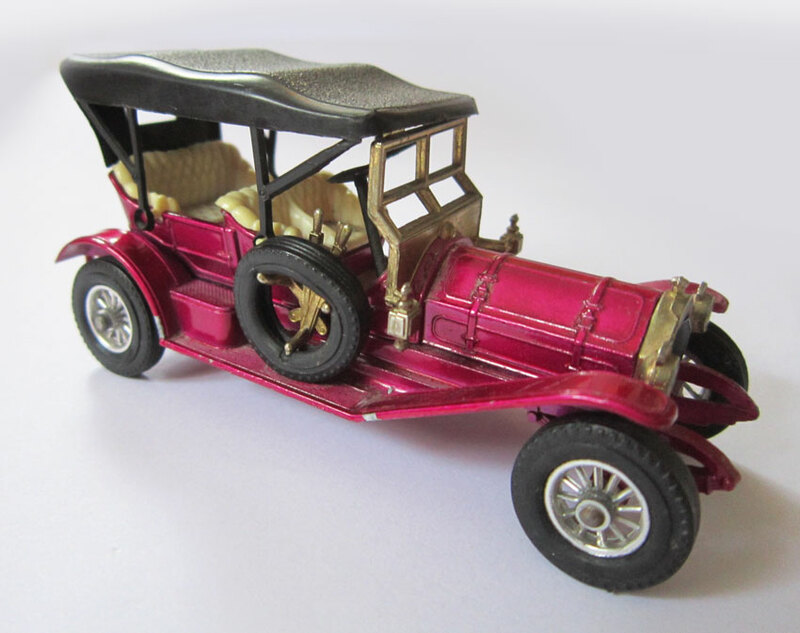 Lovely model of a 1912 Rolls-Royce, made in the 1960s by Corgi Toys for their Corgi Classics range. 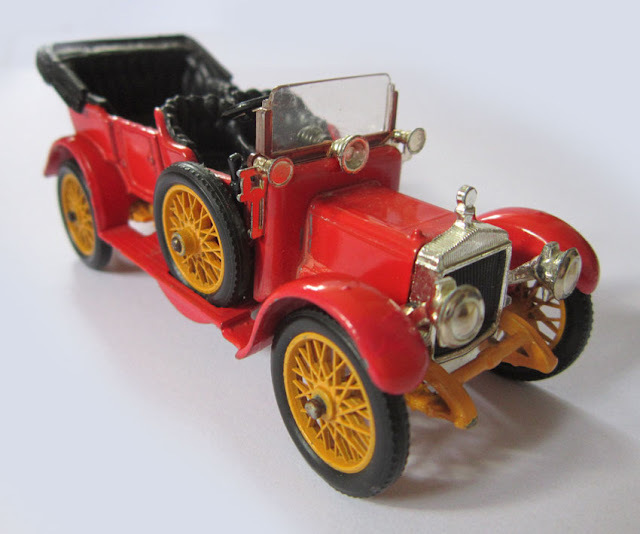 A brilliant red 1910 Daimler, from Corgi Toys. 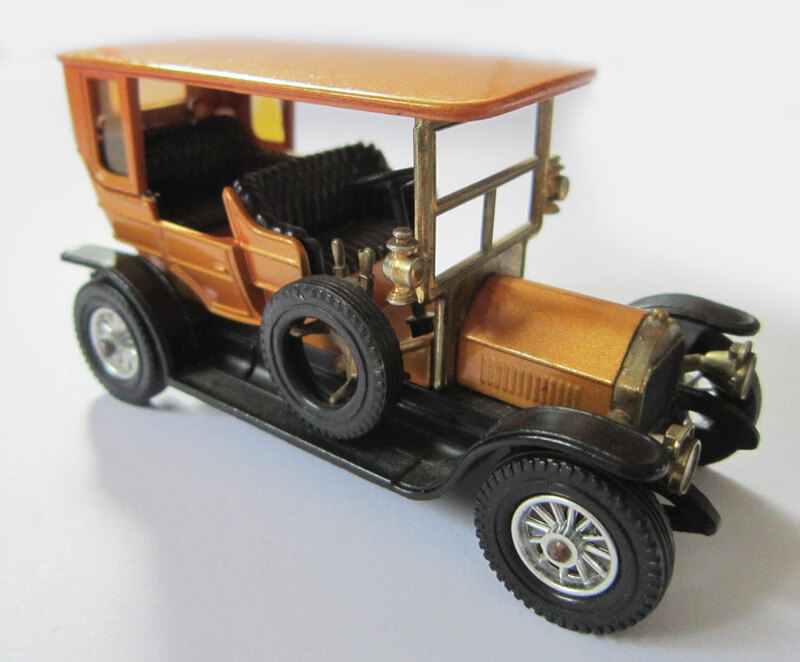 This 1910 Renault was produced between 1964 and 1969. 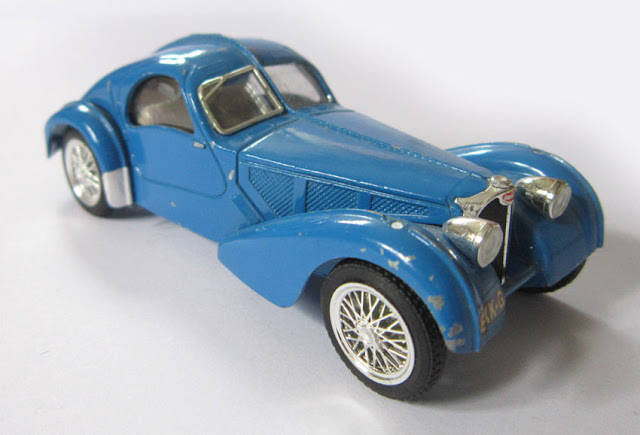 Another Corgi Classics, a 1915 Ford Model T.
This 1930s Bugatti was made by Italian company Brumm. LONDON: WINTER TALES... TICKETS ON SALE! As I write there are only 18 left!!!! So if you want to join in with this intimate evening of words and music, you'd better get your skates on!!! As the winter weather is really starting to take a grip, book your tickets now for a warm, glowing evening set in an atmospheric room at The Harrison bar near King's Cross in London on 27th February. 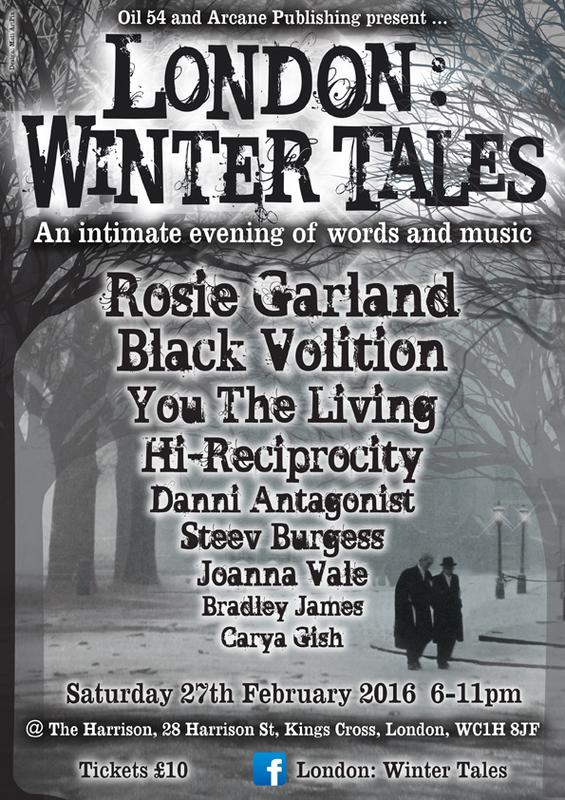 You will find an incredible line-up of talented people, including writer, performer and musician Rosie Garland and the dark and evocative sounds of Black Volition. Here is a brand new bit of artwork, that I started last night and finished off today! All made up of my own photographs I've taken around Dorset, including some only just taken this afternoon! The centre piece is the stunning and mysterious St Catherine's Chapel at Abbotsbury. 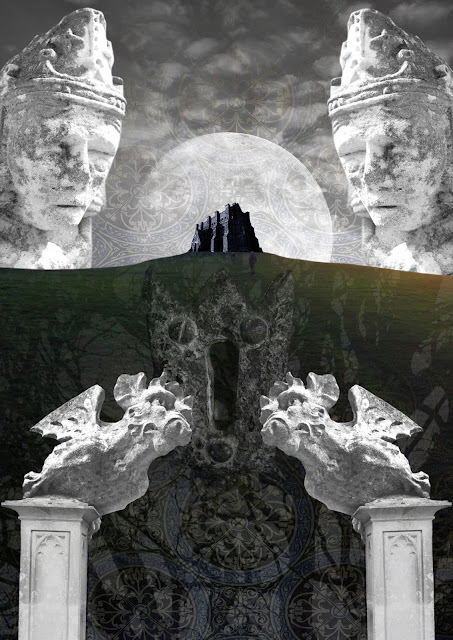 I've added some gargoyles and strange faces from churches around Dorset, while the background is made up of medieval tiles and the amazing sacred plane tree at the foot of the chapel, reputedly planted by monks some 300 years ago. Not only is Dorset a fantastic place for inspiration, it can have a dark and foreboding edge to it, which is the element I wanted to capture in this collage. 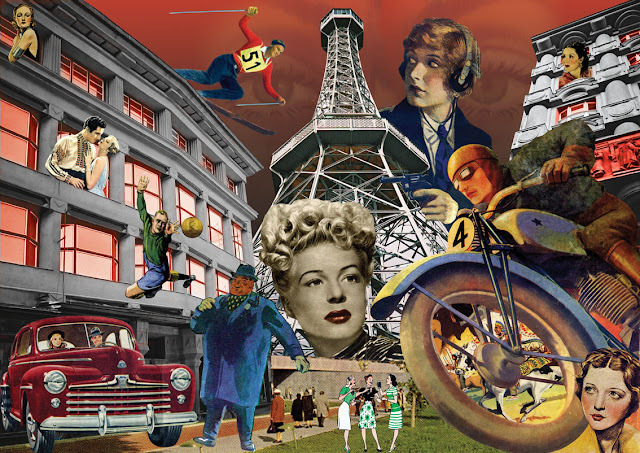 I'll also be finishing off another collage I started last year, featuring vintage items and photos I took in Prague. Watch this space....!! 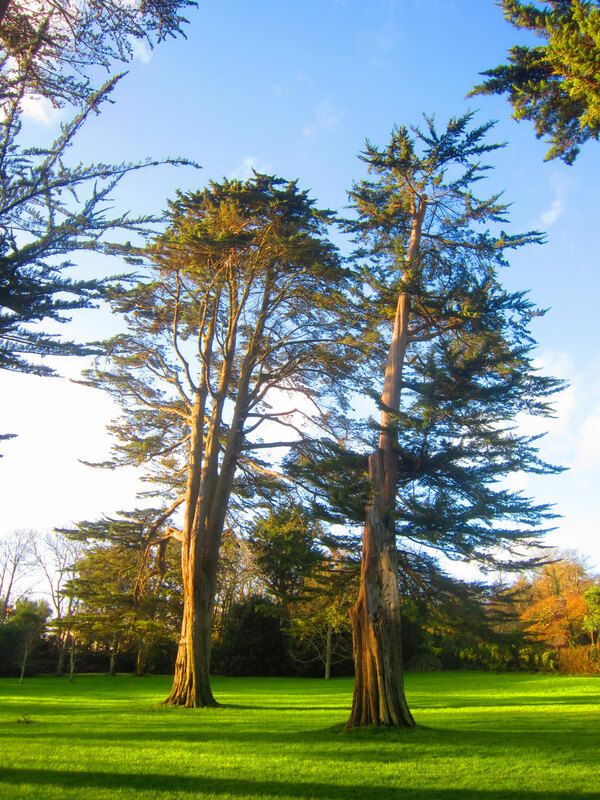 This is my first blog of 2016! I've been enjoying my first week of a month long sabbatical from work. So I'm in total relaxing mode at the moment!!! Instead of my daily commute on the train from Southend to sample the delights of Euston in London, I'm currently in Burton Bradstock in Dorset. 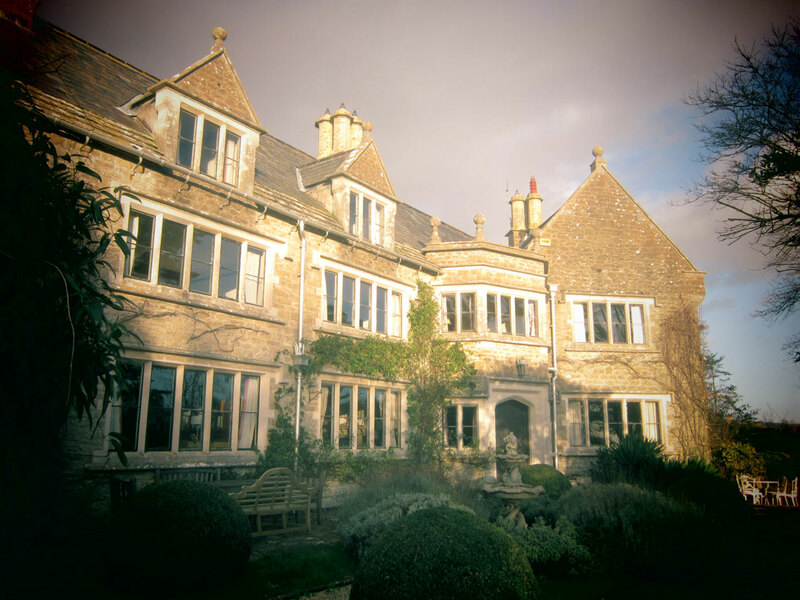 I'm staying at Norburton Hall, an insanely gorgeous manor house, that was reworked into an Arts and Crafts gem in 1902. I'm starting to get back into all things ArtPix though, having cleared my lungs of all the pollution Euston Road has to offer, by longs walks along Chesil Beach! 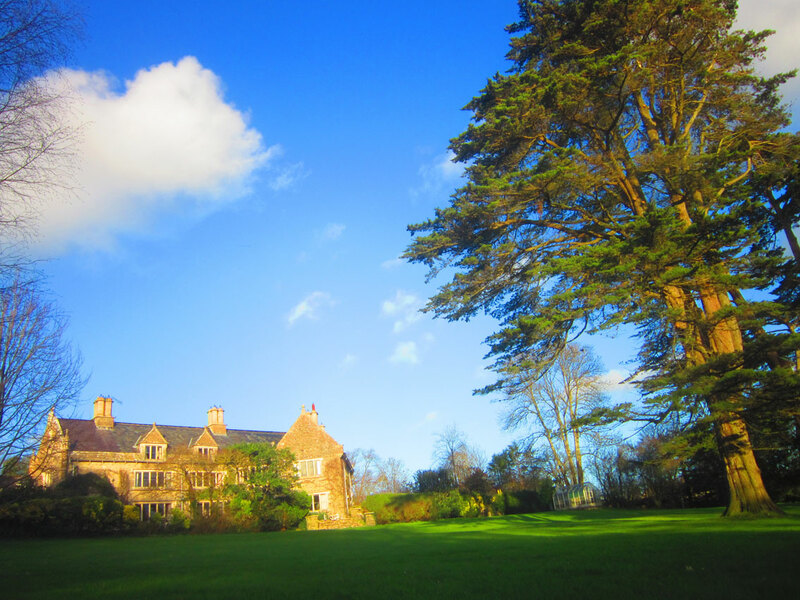 Norburton Hall, owned and reworked by the splendidly named Edward Toronto Sturdy! A view of the hall from the grounds. 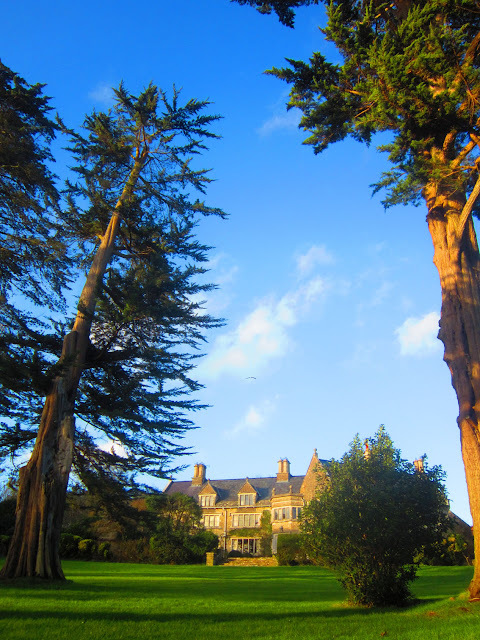 The trees in the foreground were planted from seeds brought back by Edward from New Zealand. Their official name is Cuppressus Macrocarpas, in case you were wondering! 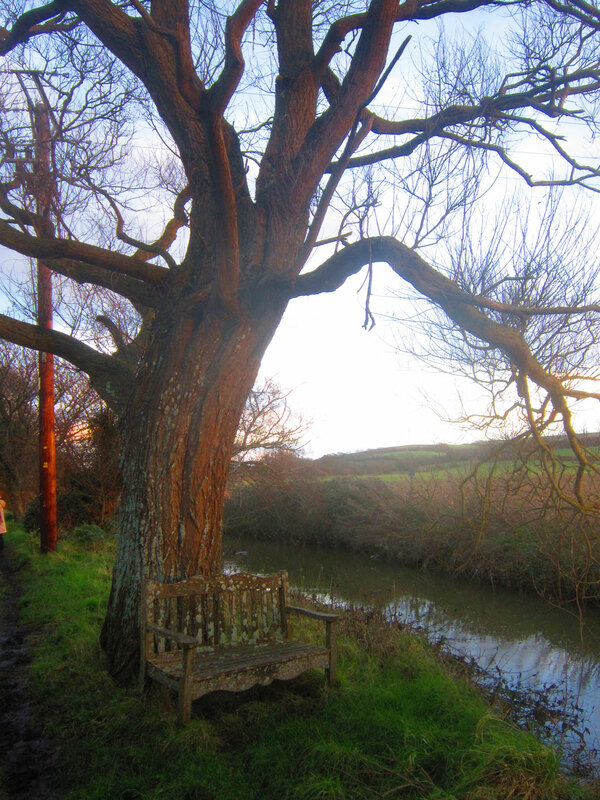 This is a lovely spot, by a stream just outside Burton Bradstock. 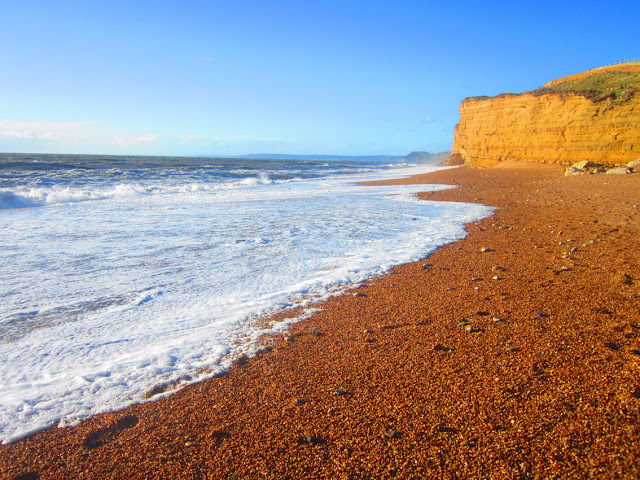 Just 15 minutes walk from the house is the stunning Hive Beach. 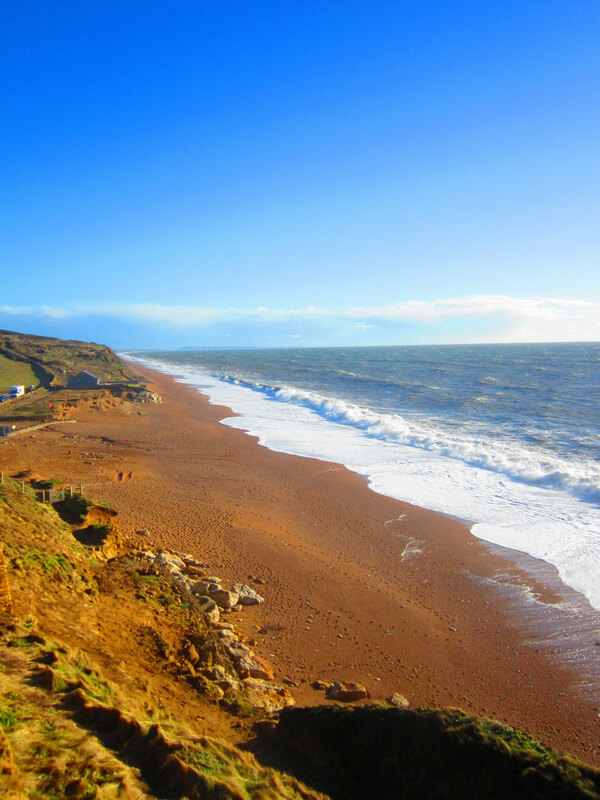 The amazing sweep of Chesil Beach going off towards the Isle of Portland. On this day there was a really strong wind, creating amazing waves! 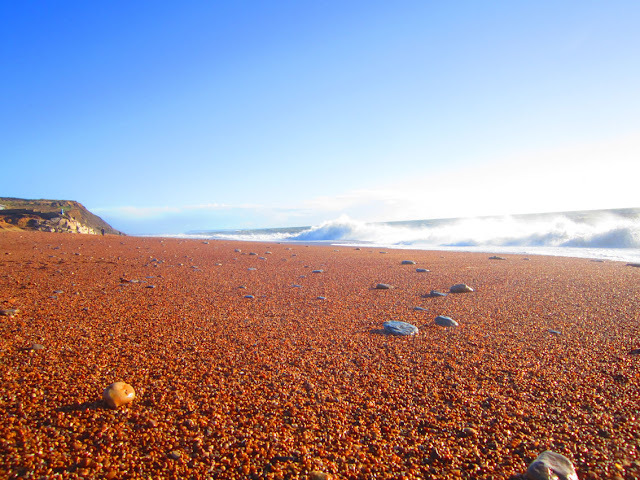 On the same beach, looking the other way towards the Golden Cap and Lyme Regis. 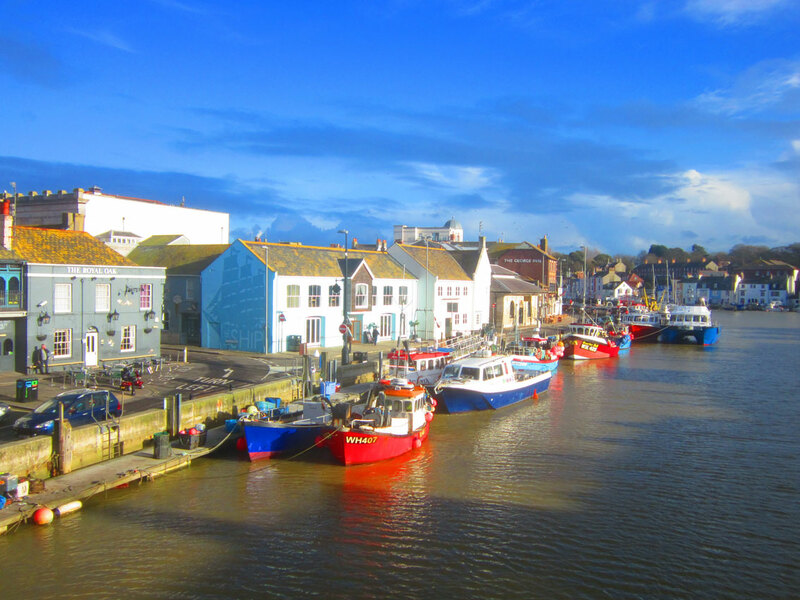 The lovely old harbour at Weymouth. 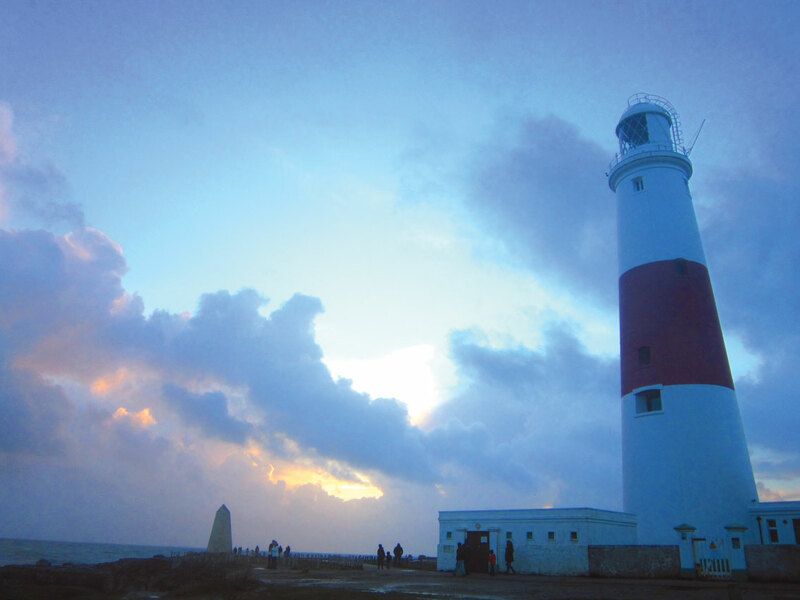 The sun setting on Portland Bill.